To sign up to the Toolstop Newsletter, simply click the Request Newsletter button below and you will receive amazing special offers, discounts and access to secret sales. 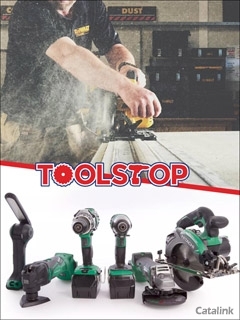 Toolstop are one of the UK's largest stockists and distributors of quality professional tools. Whether you are working on your own home improvements or working in the building trade, their equipment comes at great prices for enthusiasts and professionals alike. Deals and Offers - snap up a bargain before anyone else! What's more, Toolstop provide great customer service, so if you want advice on what to buy or have to have a tool delivered tomorrow, their team will fulfil your every need. Sign up to the Toolstop eNewsletter today and enter power tool heaven! Toolstop Newsletter David C. said: Great read ! Toolstop Newsletter Anthony V. said: tools are top quality, and reasnably priced. Toolstop Newsletter Nick C. said: Great deals and low prices. Toolstop Newsletter John K. said: Toolstop have interesting product, competitively priced. Toolstop Newsletter Alan H. said: Very useful. Toolstop Newsletter Jane D. said: Great ideas for places to holiday. By Pressing the Request Newsletter button you give Toolstop (and their Data Processors for the specific purpose of delivering your emails) consent to send you their newsletter via email until such time as you choose to unsubscribe.